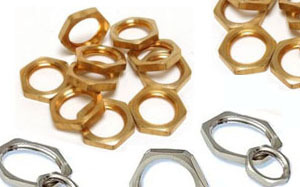 Kingpin are an elite manufacturer of a wide range of brass washers for cable gland technicians. 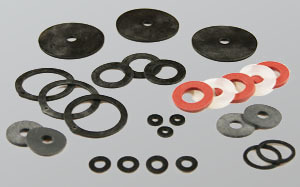 The industry requires many different kinds of washers, varying in both material and size. If brass washers are what you need, then we are here to help. 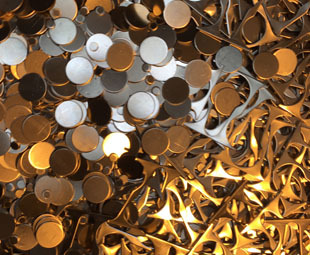 We manufacture all our brass washers in-house, which leads to a lot of benefits for the customer. To begin with, you won’t be dealing with a middleman – you’ll be communicating with us directly, ensuring that you get the exact specification of brass washer you require. Any technicians who have ever had to deal with third part suppliers or generic washers will know that this is the far better option. Cable glands also come in many different sizes, so Kingpin understand that getting just the right size to make for a perfect fit is paramount. If the product is unfit for purpose, it can have detrimental consequences for both the quality and safety of the cable gland. Not that we only supply the cable gland industry – Kingpin’s brass washers are so diverse and high quality that we deal with many other industries as well. Thanks to their combination of durability, low weight, and diverse shape, our brass washers are used in big and small electrical products alike. This just goes to show the quality that comes as standard with all Kingpin products, and why we should be your only choice for brass washers, regardless of your industry. – Built to high standards – Our washers are of the highest quality, so you can be certain that they are up to the task at hand. – Precision engineered – Our manufacturing process ensures that you receive the exact size of washer you ordered 100% of the time. – Available quickly – Kingpin’s highly specialised staff and tools mean we can get your order produced in incredibly fast times. We pride ourselves on these three principals, and won’t settle for anything less than perfection. We hold most standard cable gland sizes in stock, so your order can be dispatched rapidly. And thanks to our high level of on-site tooling, any and all custom sizes can be manufactured quickly. 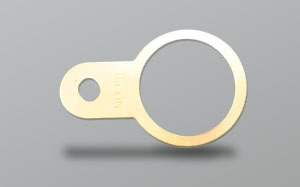 We offer brass washers in sizes M1 to M130. Just as important as protecting the insides of the cable glands is preventing the risk of electric shock. Earth tags provide this service, and are Kingpin’s signature component. Holding the cable gland in place, and ensuring that it doesn’t fall apart easily, Kingpin’s locknuts are available in various sizes and materials. Not looking for brass washers? We have a range of other washer materials in stock. Check them out by clicking above.